Wilson Bowden Developments and Barratt Developments are working in partnership with Rushcliffe Borough Council, Homes and Communities Agency (HCA) and D2N2 to breathe new life into Cotgrave. We will be transforming the town centre and creating a business park, known as Hollygate 46 as part of the £100m mixed use project to completely regenerate Cotgrave in Nottingham. Hollygate 46 comprises of three phases, offering commercial development plots with design & build opportunities. 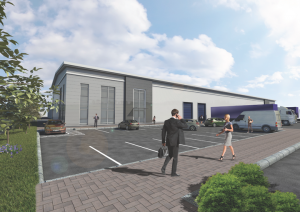 With planning consent for industrial, warehouse and office uses, Hollygate 46 offers an ideal opportunity for local, regional and national operators given the excellent transport links provided by this location. Located to the South of Nottingham within the Borough of Rushcliffe, the proposed business park is close to both the A46 and A52. The site is very accessible from the south and nearby to Nottingham's principal outer ring road which in turn provides easy access to the M1 Motorway.